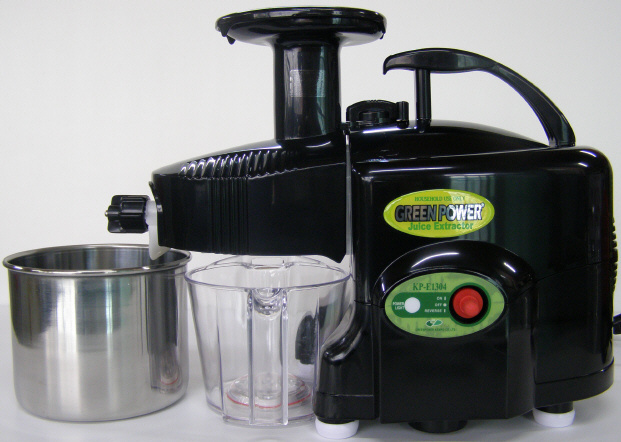 The Green Power Juicer Is Backed With a 10 Year Warranty! Samson's newest model, the Green Power KPE-1304 (formerly known as the Kempo Green Power Juicer), has the technology and juicing power to make it a best buy for the natural juice lover! This Green Power Juicer not only produces juice from fruits and vegetables, but also extracts high juice yields from wheatgrass, barley grass and other leafy greens. Beside juicing the Green Power Samson Ultra Juicer also homogenizes, minces, makes baby food, nut butters, frozen fruit sorbet, grinds coffee beans, sesame seeds and more. 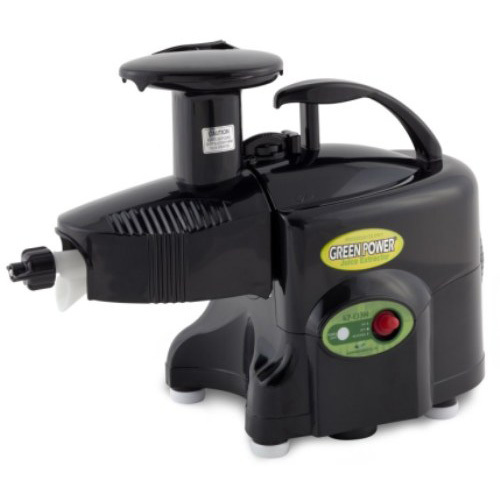 The Samson Green Power Juicer KPE1304 has patented twin gear juicing action combined with a low speed, infrared and magnetic technology naturally prolongs the storage time and freshness of your juice. Instead of the usual two or three juicing sessions per day, you can now prepare your juice therapy once in the morning and store it for up to two days! Easy To Clean- The Green Power juicer is super easy to clean and assembly takes about a minute. Bio-Magnetic technology- Scientific studies have shown that magnets can preserve the life of juice. Magnets are fitted in the base of the jug too and a stainless steel pulp catcher is also included. Separates Pesticides- The Green Power Juice Extractor filters out harmful pesticides extracting the natural juice in fruits and vegetables. Twin Gears- The twin metal gears do not touch each other which prevents any possibility of metal scraps caused by friction to get into the juice or pulp. Automatic Pulp Ejection- Two adjustable pulp inlet caps permit high levels of juice extraction from a wide variety of fruits and vegetables. Separate Screens- The juicer comes with separate screens depending on what your needs are which include fruits, vegetables and pasta. 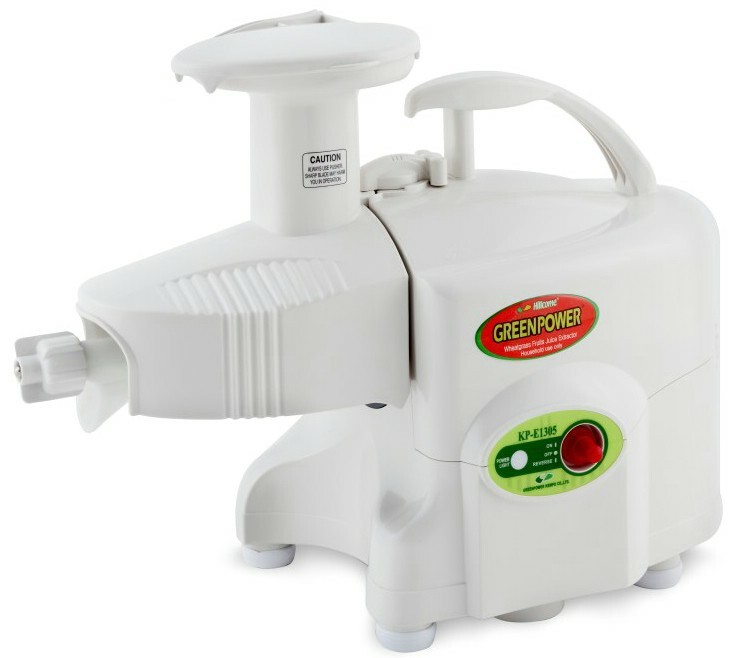 Pure Function- The Green Power Juicer also includes a blank crush screen for making nut butter, baby foods, meat pate, and frozen fruit sorbets! Super Quiet- This juicer is one of the quietest juicers available which is great if your don't want to have the machine echoing though your entire house. Warrany10-Years on the Motor and 5-Years on Parts. We ship worldwide please email us at jeff@freshstartjuicers.com to get a shipping quote. 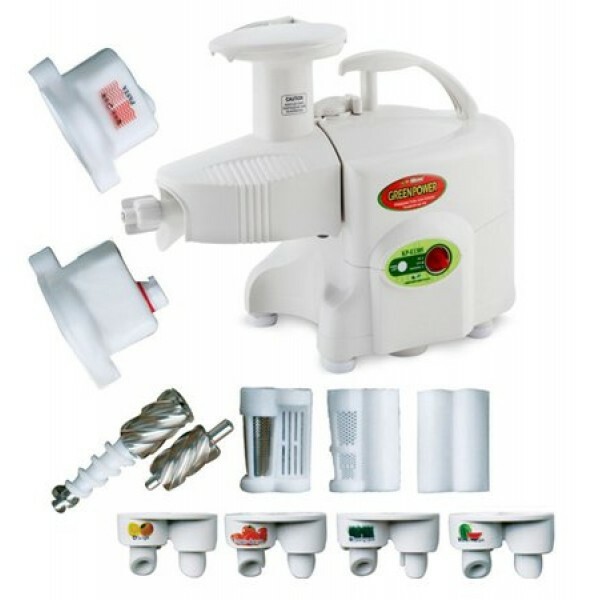 Fresh Start Juicers and More offers free shipping to the continental United States only. Unfortunately, we cannot ship to P.O. boxes so please provide a physical address with your order.